The first comic book about Alfred J. Kwak, that was published on February 18, 1987, became a success and a favorite among children. 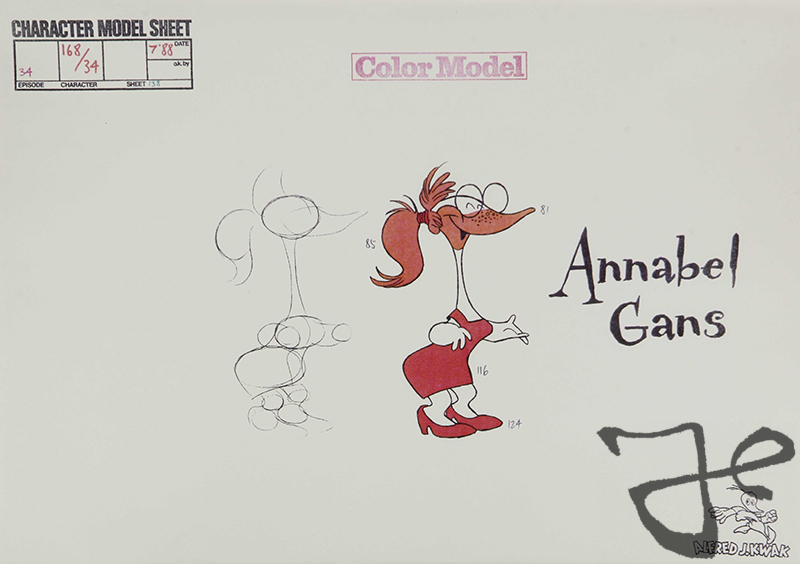 Not only was the comic book noticed by children, also television producer Dennis Livson saw that the comic book had enough charm and potential to create a cartoon television series of 52 episodes based on the character Alfred J. Kwak. 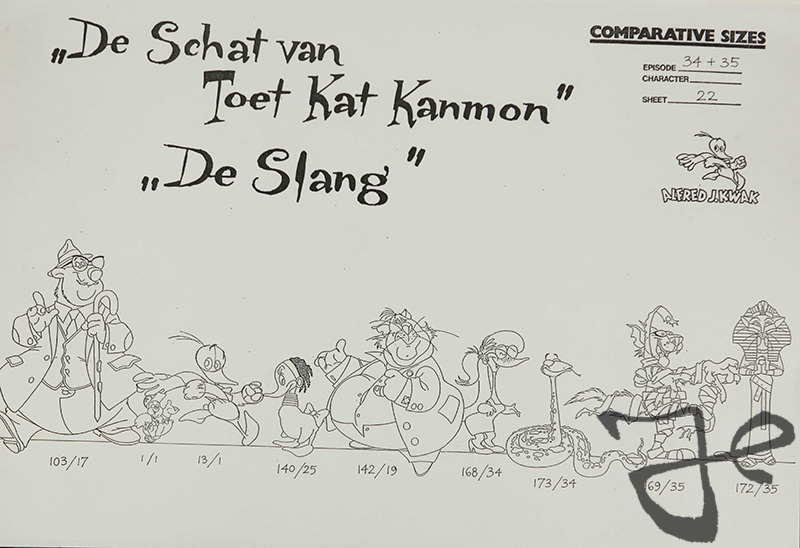 In March 1988 Harald Siepermann and Hans Bacher started with the designs of the characters, based on stories by Dutch artists Herman van Veen. 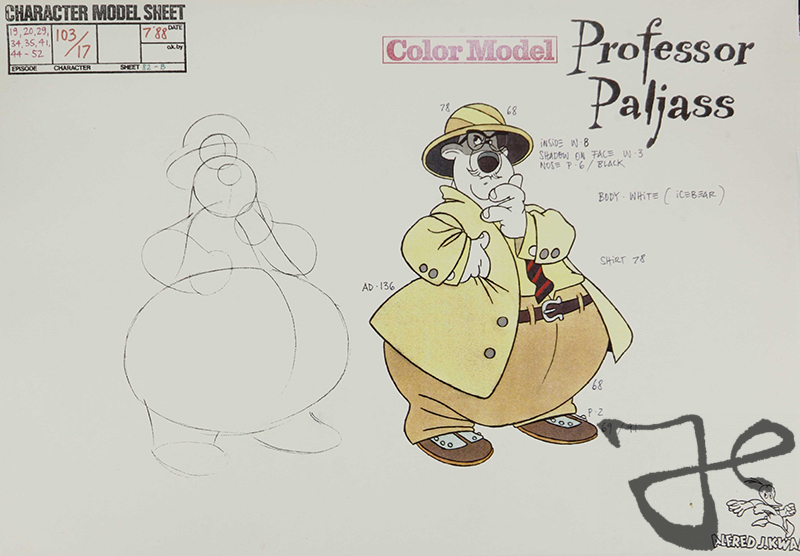 All the character designs were combined in a book called Character- and Color-Design for Alfred J. Kwak, which ultimately contained more than 250 unique characters. 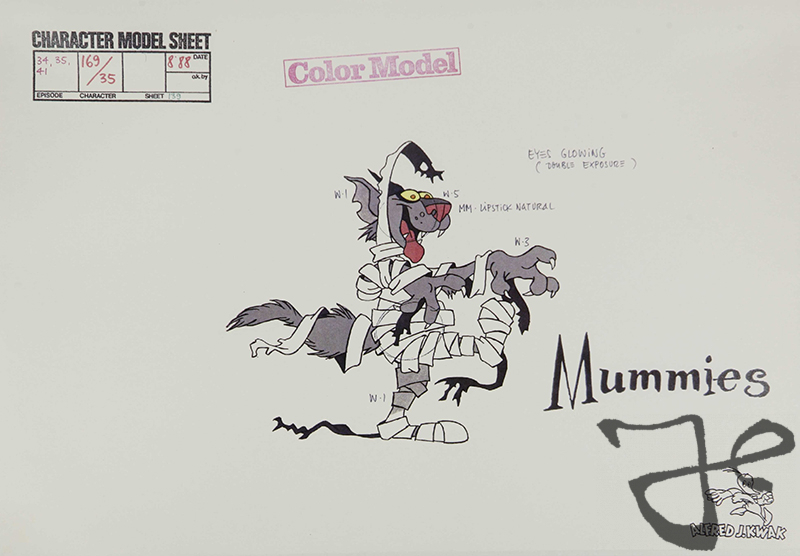 When the designs were completed in August 1988, the Japanese production team in Tokyo, where the actual animation was done, could start with the production of the series. 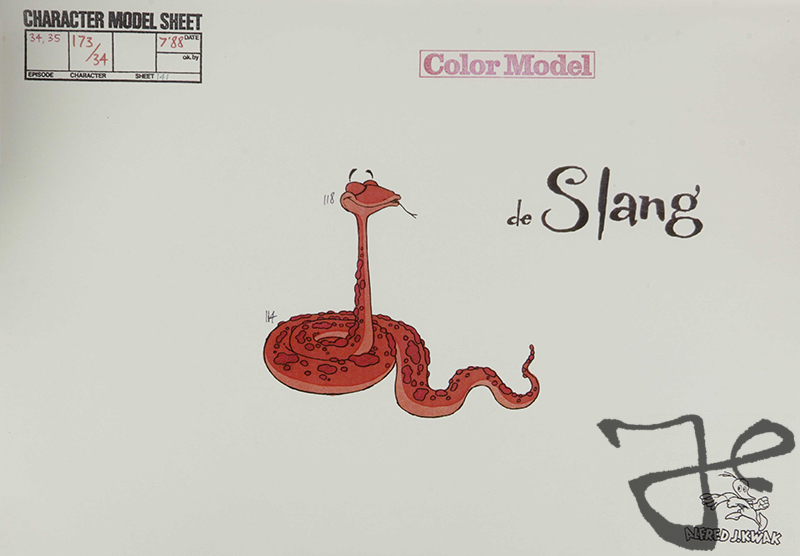 The book served as an instruction guide for the Japanese team about the structure, colors, and costume design for each character. 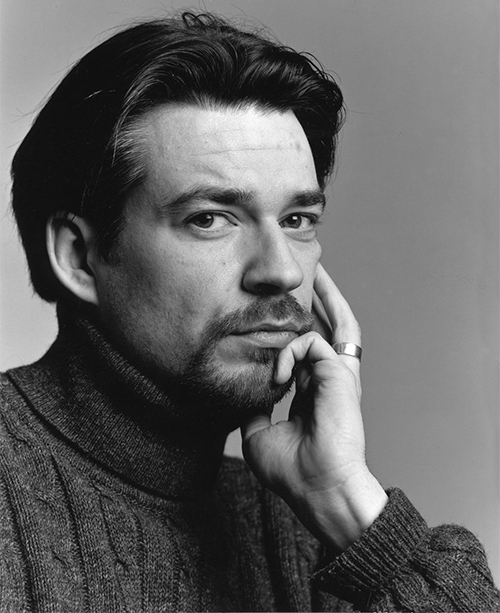 In addition, Harald Siepermann also went to Tokyo for several weeks to teach how the characters should be drawn and to explain the ideas behind certain stories. 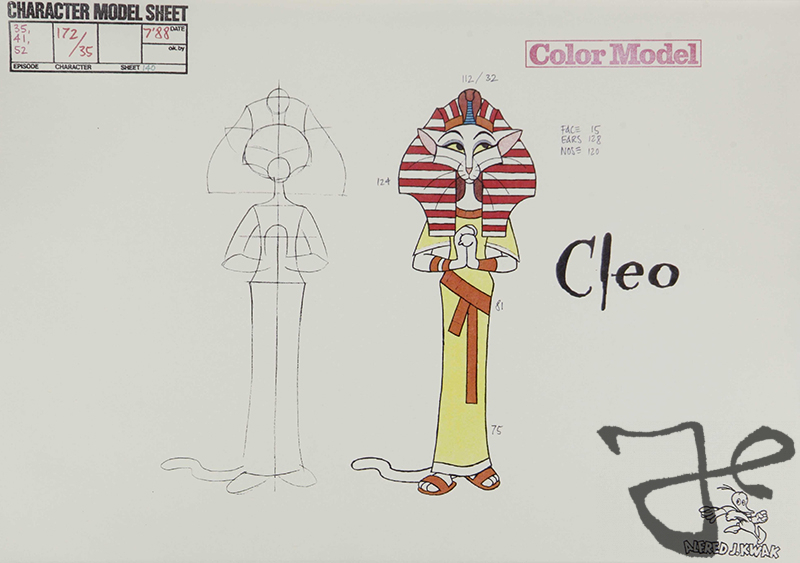 Below are several character designs from episode 34 De Schat van Toet Kat Kammon [The Riddle of the Pyramid] and episode 35 De Slang [The Labyrinth] by Harald Siepermann and Hans Bacher. Hello Tobias, there were only 10 copies made of this book and it served as an instruction guide for the Japanese team (where the animation was done) how to draw the characters. In the future more pages will be shown on this blog. I am very happy to see pictures from this book! Years ago, I emailed Hans Bacher about it because I wanted to look in to the book to see how it was made, as I was working on my own tv-show pitches. I also suggested the idea to make a “The Art of Alfred J. Kwak”-book! I would still like to buy that some day! 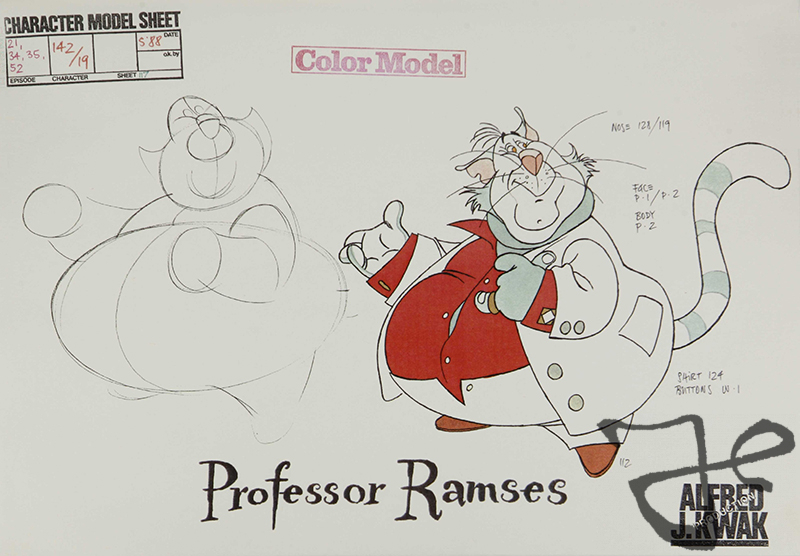 Can’t wait to see more of the Character Design guide! Hello David, actually the book ‘The Art and Making of Alfred J. Kwak’ is already finished. It only needs a publisher. Is there any update on the book and a publisher? As a big fan since age 2 I would very much like to be able to buy a copy. Especially with the 30th anniversary of the series next year. Hello Dennis, unfortunately there are no updates yet on the book about Alfred J. Kwak. 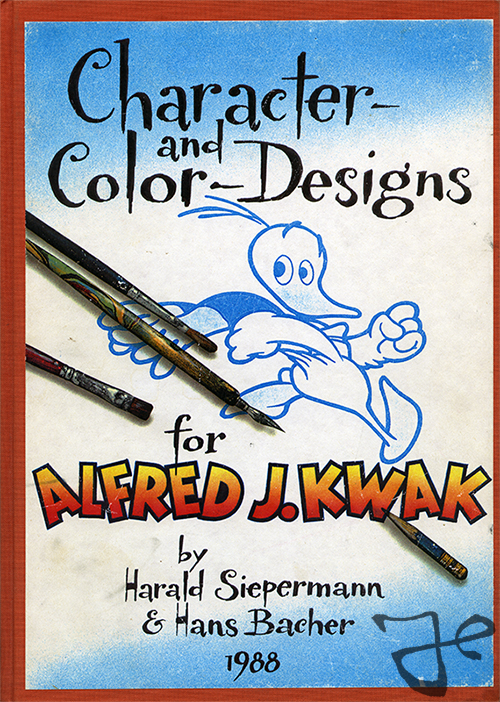 We are however currently working on a book about Harald Siepermann which will feature some of his artwork on Alfred J. Kwak.